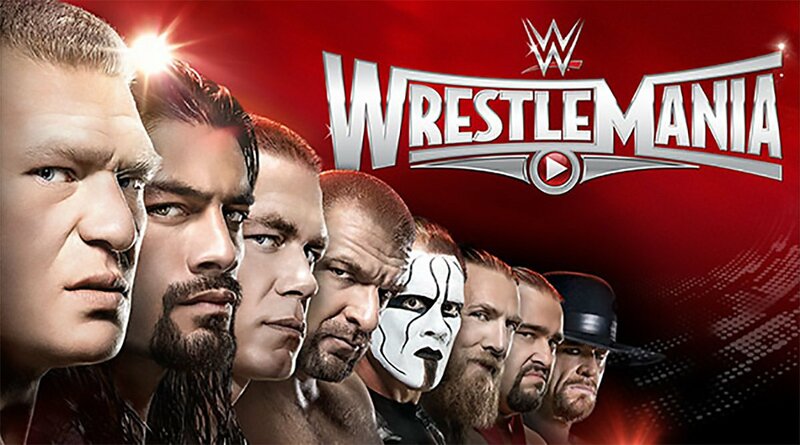 On March 29th, 2015, World Wrestling Entertainment held their biggest event at Levi’s Stadium in Santa Clara, CA. Normally, this stadium is held for home games for the San Francisco 49ers, but this time, the biggest event in wrestling used this facility to draw in fans from around the world. Never in my wildest dreams did I think that I would ever get a WrestleMania event in my own backyard. I won’t go too in depth about the actual matches as they have been covered countless times. I will go into the experience of attending an event of this magnitude. Parking at the venue would have cost an arm and a leg, but that didn’t stop people from tailgating while cosplaying as their favorite superstar. Others had the right mind of using the improved public transportation to get to the stadium. The parking lot even became a party to celebrate a once in a lifetime experience. Official vendors were selling merchandise from anything with a WrestleMania logo on it, a colorful John Cena t-shirt, and the upstart NXT attire. Everyone in the parking lot was very welcoming. Getting into the stadium felt like the zombie apocalypse. It was just a sea of people growing impatient to get to their destination. Once inside the stadium, I had to walk around to soak in the environment as I had never attended one of these events before. I also had to walk around Levi’s Stadium as I had never been inside of it before considering it was still a brand new stadium in its infancy. One of the coolest things about outdoor WrestleManias is when it gets dark. Unfortunately, those shows usually happen on the East Coast with that time difference. Out in California, the shows start earlier which means it gets darker in the later hours. It wasn’t even dark when during Bray Wyatt’s entrance. It wasn’t even dark during The Undertaker’s entrance. It didn’t even get dark until the main event. It was just sunny all day. Sure, I sat in a glorified nosebleed seat, but I was at least able to see the action down below, or if I wanted a better view, I could look at the jumbo screen. The pillars did get in the way at certain points, and some of the superstars/divas looked like ants from that far away. It was also pretty warm that day. The only people that weren’t affected were those that sat on the suites side of the stadium. One of the things I’ve gotten accustomed to doing when watching wrestling at home is to be able to hear the commentary. Due to the fact that I was in the actual building for the event, I was unable to hear Michael Cole, Jerry “The King” Lawler, and John Bradshaw Layfield announce the matches. I was only able to hear the entrance themes, boos, cheers, chants, and thuds from the crashing of bodies onto the mat. I’m not quite sure how it played out at home on the computer or TV screens, but I honestly didn’t see any four or five star matches. There were plenty of hype moments but no particular match stood out on its own. All the matches were just straight up solid. I was excited 100% of the time due to just being drowned out in the excitement of actually being there. I have been to wrestling events in the past, but I had never experienced anything like this. There were mobs of fans everywhere. It was literally insane. It makes me want to consider going to future WrestleManias as it became an experience of a lifetime. For this one, I got to live out an entire childhood dream of making it there.